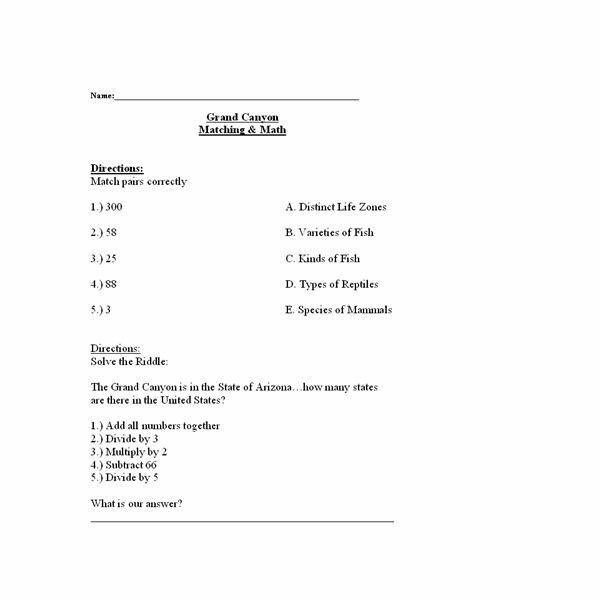 Your students will be able to answer these questions, as well as many others, after this lesson about the Grand Canyon. This book not only gives some great facts and history about the Grand Canyon but also touches on animals, plant life, and fossils in the Grand Canyon, which will be used in the science extension activity. What kinds of plants and animals can be found in the Grand Canyon? 2. There are several important vocabulary words which the students will learn from the book. Use the worksheet below as a quiz , classroom work, or homework sheet to assess the students on the vocabulary they have learned. 3. There are many kinds of birds, mammals, reptiles, and fish located in the distinct life zones of the Grand Canyon. 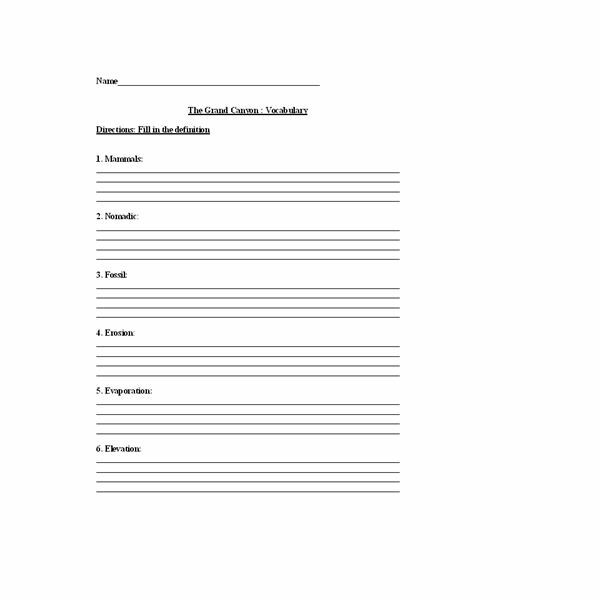 Have students complete the worksheet below which will incorporate facts about the life zones as well as math questions. 4. The students will have learned that not only is the Grand Canyon home to animals and plants but also to fossils. With this science activity students will be able to make their own fossils. In the book we looked at fern fossils, have students bring in leaves, branches, flowers, etc. These items will be used to help the students make their own fossils in clay. Clay recipe and directions can be found here. After this lesson students will have learned a great deal of history and many facts about the Grand Canyon while also having fun working on an art and science project involving fossils. The vocabulary and math worksheets will help the teacher to assess the student’s comprehension of the material.